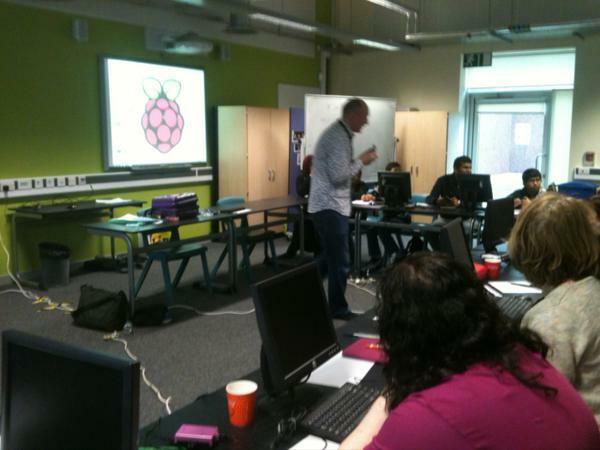 Attended this today and what a brilliant day it is for Pi beginners! I can recommend joining one of these Saturday groups if you can. 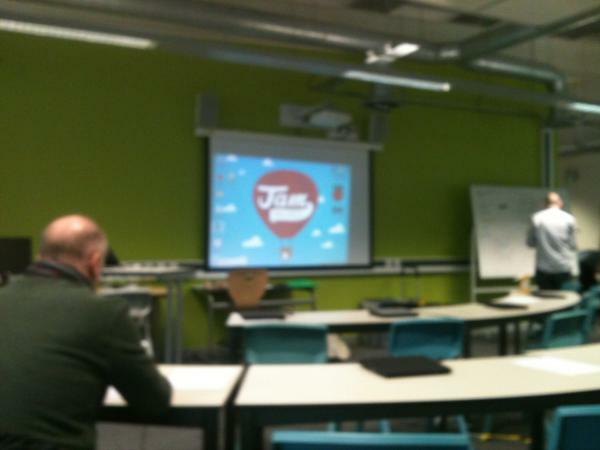 See @JamPackedUK for an event near you. 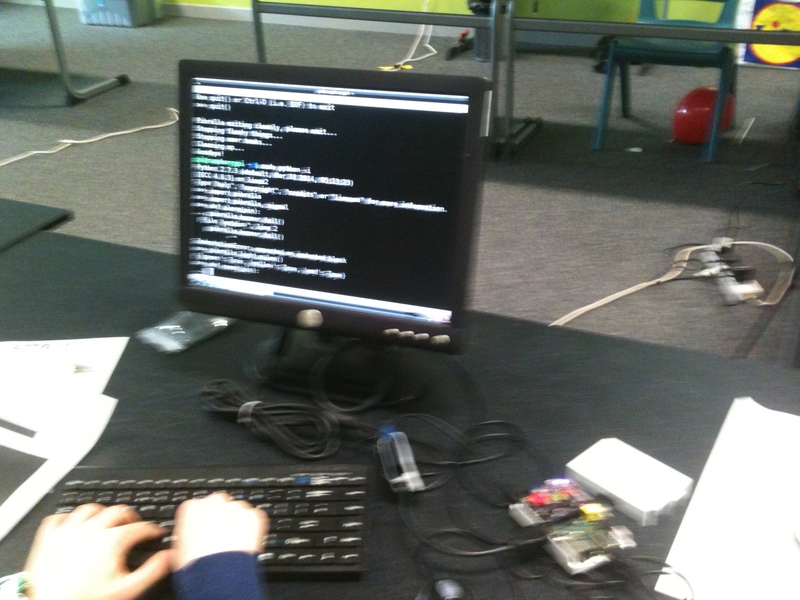 The Beginner Pi workshop was very useful. Alan first got us talking to each other about the additional kit we would need to get our Pi up and running. He then used a game to take us through all the things that can go wrong, such as cables being loose and not closing the Pi down properly. (Although this seems to have become easier as I’ll tell you later in the Pibrella section). We finally got to move round and look for problems on other people’s set-up (which they had deliberately messed up). There were plenty of Pi Model B+ s so we all got a look-in. 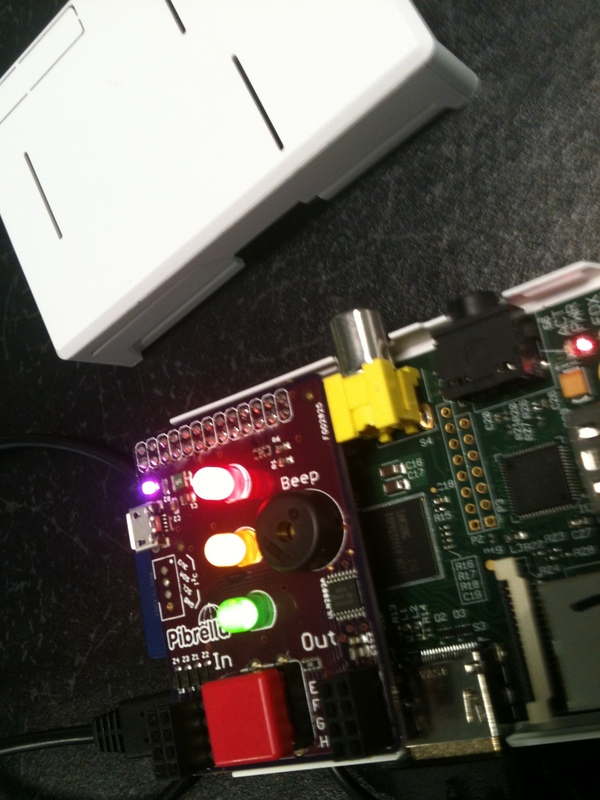 Alex led us in a workshop about how to control the buzzer and LED lights on a Pibrella board. (Alex is @aclewett.) 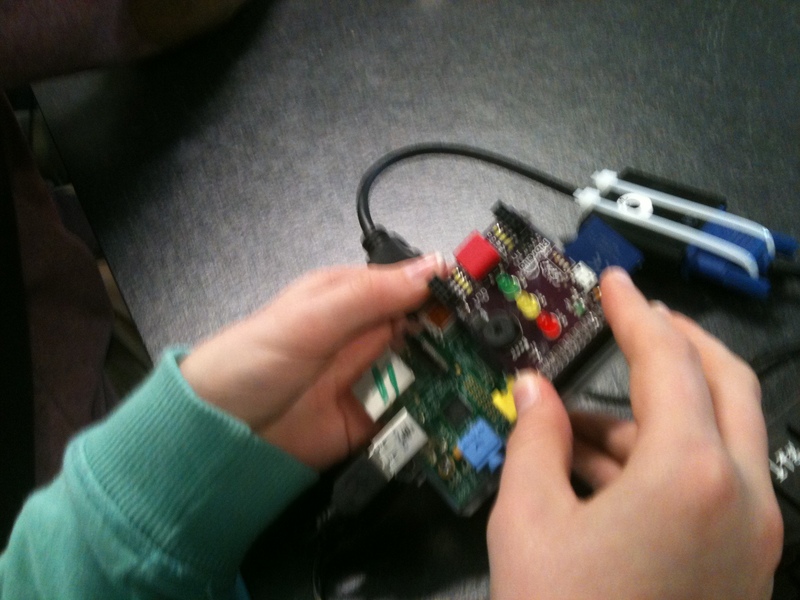 First, he asked us to switch the power to the R Pi off so that we could safely attach the Pibrella. I thought this would cause problems but apparently the OS (operating system) has been upgraded to reduce the possibility of corrupting the OS by switching off or having a power failure. I think I’m still going to go through the full shutdown procedure, even when using someone’s newer Pi, just to be on the safe side. As I’ve only used my Pibrella with Scratch and this workshop was about using Python in LXTerminal (or the Command Line as it’s often called), I had new stuff to learn. I didn’t do hands-on because there were other people who needed it more than me but I brought home the notes and will try it asap. Below are photos from the work of a young male student near me. All in all it was a really useful day which would be especially helpful for complete beginners. That’s all for today folks. Happy Raspberry Pi-ing! HATS – No, I’m not wearing one!